• When playing outdoors children move more – this is associated with many physical health benefits related to cardiovascular and respiratory health, musculoskeletal fitness and weight. 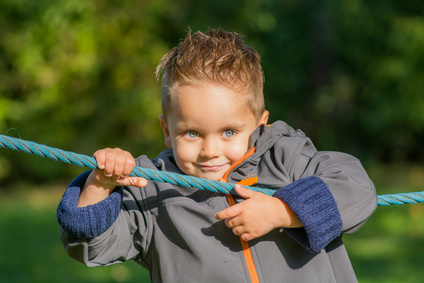 • Children who engage in active outdoor play in natural environments demonstrate a number of mental health benefits – such as resiliency and the development of skills to deal with stress. • Children develop many social skills when they play freely with a minimum of structure – such as getting along with their peers, developing a relationship with their community and the environment. It also reduces feelings of isolation. • And children are naturally more interested in natural spaces than play structures. • Major injuries are uncommon – most injuries are minor. • Children are much more likely to die as a passenger in a car then they are when playing outside. • Many people are worried about abduction – but the chances are about 1 in 14 million in Canada. • When indoors – and in front of screens – children are subjected to other dangers – such as cyber-predators and violence. They may eat unhealthy foods. • Indoor air quality may be poor – with toxins such as mould or environmental tobacco smoke – which can result in respiratory problems. • If children are sedentary/inactive they have increased risk of developing chronic diseases (heart disease and type-2 diabetes); cancer and mental health problems. 1Adapted From: Position Statement on Active Outdoor Play. Herrington S and Pickett W and: the BC Injury Research and Prevention Unit, CHEO Research Institute, Physical Activity Epidemiology Lab, Best Start, KidActive, Play by Nature, Child and Nature Alliance, Centre de Recherche Institut Universitaire de Cardiologe et de Pneumologe de Québec, Queen Maud University College of Early Childhood Education, Canadian Parks Council, ParticipAction, Evergreen and PHE Canada. http://www.haloresearch.ca/outdoorplay/-accessed July 24, 2017. 2Brussoni M, Gibbons R, Gray C, Ishikawa T, Beate E, Sandseter H, Bienenstock A, Chabot G, Fuselli P, Herrington S, Janssen I, Pickett W, Power M, Stanger N, Sampson M and Tremblay MS. What is the Relationship between Risky Outdoor Play and Health in Children? A Systematic Review. Int. J. Environ. Res. Public Health 2015, 12, 6423-6454.